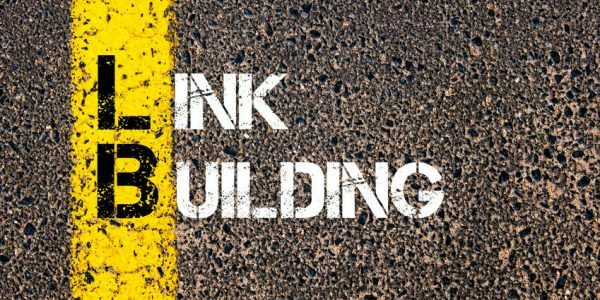 Link building and more importantly, links are the foundation of your local Denver SEO campaign, it’s what search engine optimization was built on. It’s those little pieces of text anchored by words (text anchors) that the search engines put a lot of value in. At the beginning of it all there were nothing but links for the search engines to count on. Think about it, as the web has evolved so have the search engines and their ranking algorithms. But, in the beginning there were only links. And today they are still quite valuable when determining what pages rank where. Your Denver SEO consultant should understand link building in detail. So, the foundation is where we begin. For companies looking to grow here locally it’s a bit different because Denver is a boom town essentially. People come to Denver for it’s vast growth potential and things like the Rocky Mountains and skiing. While now is the time to be looking to grow for Denver businesses, the quality of links you get from your link building service to your website and the velocity in which you get them can and will determine your website success in the SERPS. A good Denver SEO company will be able to walk you through this. The goal is to get high quality links from websites from other people in the community with high quality websites. And since there are lots of businesses sprouting up in the Denver area, this should be easily accomplished by networking with local business owners. These are the highest quality of and best links to get because they are essentially “local” to the Denver area. This includes places like Boulder, Castle Rock, Golden, Aurora, Lakewood, Highlands Ranch, Arvada, Centennial, and other local businesses. If you know and have relationships with business owners in these or any other local areas close to the Denver Metro then you should be asking them to link to the content you’ve created, just make sure that the content is high quality and provides value so that they will have a reason to link to it in the first place. There are other metrics we look at before asking business or website owners for a link from their websites because after all quality matters. And if the website you’re getting a link from isn’t looked at as a quality website then you might as well just move on. We want to make sure that they aren’t attached to some type of spam network. Unfortunately, lots of small businesses choose cheap hosting so this can become a concern. What type of TLD is the website in question? Is it a dot com, net or org. If so that’s good but if not we need to analyze the site further. Unfortunately, spam tends to come from other types of TLDs in an abnormal amount so this is essentially just a quick check to make sure. We like to use Ahrefs as a link building software to analyze backlink profiles of websites to see who is linking to them and if the backlink profile is natural or not. How many referring domains does the website in question have? The general rule of thumb here is, the more the better but of course there are always exceptions. Anything over one hundred or so is generally pretty strong for a small business but again refer to the previous argument herein. Are the backlinks or citations (if a local business) from other related domains? Great! If it looks like there’s a potential of a penalty on a website then we steer clear and don’t focus our link building strategies there as that link does us no good and it could potentially damage the site reputation although it’s less likely to do that with the latest algorithm updates. Is the website ranking in the SERPS for keywords of their own? If so then Google places some level of trust into this particular website. This information is very valuable. How many pages of the site are indexed? Does it look like the site in question is well put together? These are good questions to ask before asking for a back-link. Just another sign of quality or trust, depending on what angle we’re approaching this conversation from. Social signals mean the site is alive and well. Are there a ton of ads on the site? If so then there’s not much reason to ask for the link unless the site is providing extreme value in some other way. Website theme is important. What does the website look like? Is it mobile friendly? What do the pages of the website look like? Are they well thought out? Do they provide value to the visitor? These are things we look for when deploying our SEO link building efforts and before we even ask for a link from another website. What is the purpose of the site? Is it providing value in some way, shape or form? Here’s a hint, it should be. I realize this is a lot of information to swallow for any local business owner. The fact of the matter is that these are just some of the things we’re looking for and determining before we’re even asking for a link from another website. It’s all about relevance and quality today. Google prefers real links from high quality sites and that’s what’s moving the needle for local Denver businesses. So when you’re looking for the right Denver SEO company please make sure that they’re building high quality links to the high quality content that they are creating on your website. An informed link building company or consultant is going to be extremely valuable to your website in the long haul.